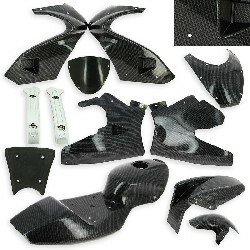 Special Edition carbon look fairing by UD Raging!!! 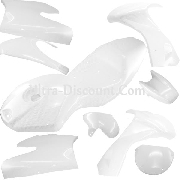 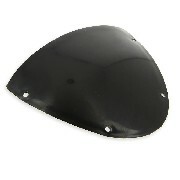 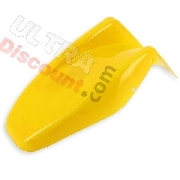 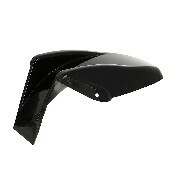 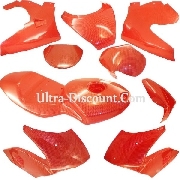 This full fairing is suitable for Pocket Bikes 47cc or 49cc with an air-cooled 2-stroke engine. 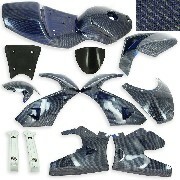 This kit is complete and ready to mount. 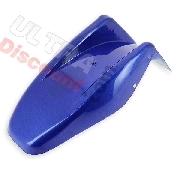 This type of fairing may present a cosmetic blemish such as default of painting , because this type of painting is really difficult to make on this type of plastic.